Devonte’ Graham is Kansas’ leader and senior point guard who emerged as a likely second round pick after the departure of Frank mason III. Graham played 38 minutes per game in the regular season in his senior year and averaged 17.3 PPG, 7.5 APG, 3.9 RPG, 1.6 SPG, and 2.8 TOPG on 40/41/83 splits. Overall: Graham has led Kansas to a number one seed in the NCAA Tournament as a senior after taking over full time for Frank Mason. He is a great scorer at the college level, but he may be limited to jump shooting. One scout that I spoke to worries that his inability to finish with contact at the rim may limit his game at the next level. However, he can shoot the lights out, and he has unlimited range. Fit with Mavericks: Devonte’ Graham would be a good fit with the Mavericks due to his coachability and excellent shooting abilities. The Mavericks may be worried about Graham’s slashing tendencies and nervousness absorbing contact, but his motor and jump shooting threat are appealing. Graham’s inefficient scoring can be aided by a coach who allows him to only use his strengths, which under Rick Carlisle would be as a bench point guard in a two guard lineup. Graham knows how to play to his strengths at the college level, and doing so in the NBA would go a long way for his career. Graham will likely never be a positive defender in the NBA, but that hasn’t stopped other point guards from succeeding in Dallas. He would work well with the bigs, particularly Dwight Powell, in the P&R, and could also thrive as a shooter using screens. Overall, Graham would be a positive addition in a Mavericks uniform as a bench player. Look for him to be targeted with the Mavericks’ first second round pick that they own. 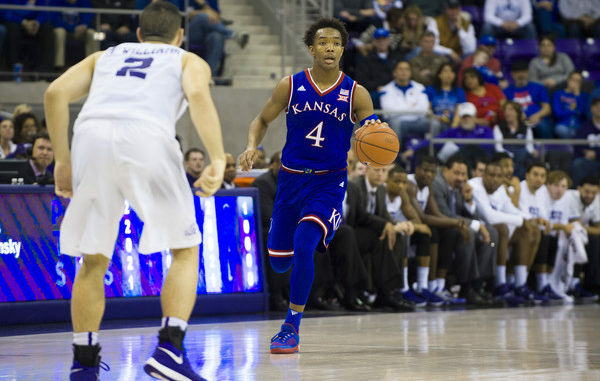 You can read my report of Devonte Graham’s game @ TCU that I attended in January here. Thank you for reading, and be sure to follow me @MavsDraft on Twitter and Instagram for more updates regarding Graham and other players!